List of NetEnt casinos with honest review including reputability check of every NetEnt online casino listed. Established in 1996, Net Entertainment, usually known as NetEnt, is one of the most famous and successful casino software providers for online casinos. NetEnt was founded in Stockholm, Sweden, and today their headquarters are located between Stockholm and Malta. The company is listed on the stock market, and their stocks are sold on Nasdaq OMX Stockholm. NetEnt is well known for delivering popular and reliable games to online casinos, including classic and video slots, with stylish Scandinavian design. One interesting fact is that almost one in four online casino offer NetEnt products, reflecting its sheer scale in the industry. The first five casinos using NetEnt software were launched in 2000, and the number of casinos has been rapidly expanding ever since. 2007 was also very important year for Net Entertainment casinos, as this marked the launch of a new set of virtual NetEnt slots games which still remain extremely popular. Among the most famous are titles like Starburst, Gonzo’s Quest and Mega Fortune. As a result of NetEnt’s good work and dedication , NetEnt won: “Mobile Supplier of the Year”, “Slot Provider of the Year” and “RNG Casino Supplier of the Year” at the annual eGR Awards event in 2014. As you can read in more detail below, NetEnt is listed in the Guinness World Records book for paying out the largest jackpot on an online slot machine, ever. NetEnt is operated out of three major gambling capitals: Alderney, Gibraltar and Malta. NetEnt‘s pioneering open source games were among the first that used Java in the 1990s, and they continue to develop new and engaging gaming technology that has become a favorite among online gamblers and online casinos alike. Players really like NetEnt games for their engaging, realistic qualities and great 3D graphics. This software offers a wide selection of instant-play casino games, enhanced with captivating graphics and superior sound effects. NetEnt’s software features front as well as back-end support for casino operators. This includes a collection of slots and other regular games. NetEnt offers its software in many language variations in order to attract a global audience. Their approach to responsible gambling also sets them in high regard. The software’s Random Number Generator is certified and regularly tested by iTech Labs, which is one of the essential elements to help them with their Better Games™ mission. Their Better Games™ system is known for its high payout percentage, ranging from between 95% - 98%. In order to ensure that the games are in fact complying with these self-imposed guidelines, all games go through a 3-month in-house testing process. The quality assurance tests come with both verification and an independent review once the testing has been completed. NetEnt games are also mobile compatible, which allows you to play top Net Entertainment games via a mobile device, regardless of whether you are a user of Android or iOS. The reason is that NetEnt has spent a lot of time developing something that’s often taken for granted: a mobile casino solution. Their exclusive and award-winning Touch™ is built on HTML 5 technology, so players don’t need to download anything, because it simply works in browser. However, not every game is optimized for this kind of performance. NetEnt has more than two hundred game titles, and strong partnerships with film corporations like Universal™, 20th Century Fox™ and South Park Studios™ which enables them to create slots based on popular film titles like South Park, Scarface, Alien and even TV show Dallas. T he most popular of all NetEnt games is the well known video slot, Starburst. Gonzo’s Quest is another classic that’s based on the adventures of the main character Gonzalo Pizzaro. These game s gained their popularity very quickly, thanks to their impressive 3D-rendered graphics. NetEnt powered slots are typically very user friendly, but despite their average return to player of 95-98%, have longer periods of dead spins between any wins above your bet. NetEnt has developed its own ‘NetEnt Live Casino’ software, through which players can play ‘classic’ casino table games (roulette or blackjack) hosted by real-life dealers (shown via a live streaming video connection). As we mentioned, NetEnt is listed in the Guinness Book of World Records. The reason for their listing is that one lucky player who won €17.9 million playing Mega Fortune™ slots, currently the biggest slots jackpot ever paid . Moreover, on June 3, 2014 the second largest online jackpot ever in Sweden, €7.4 million, was paid out on another hot title of theirs, Hall of Gods™. Among other progressive jackpot slots, you’ll find the likes of Mega Fortune D reams, Arabian Nights, Super Lucky Frog, Cosmic Fortune, Geisha Wonders, Tiki Wonders, Mega Joker, Icy Wonders, Carribbean Stud Poker and Keno. NetEnt casinos offers cash back, reload and free spin bonuses, as well as no deposit bonuses. Use the filter on our website to find an updated list of actual bonuses available. NetEnt software is really very popular, and its games can be found in hundreds of online casinos. 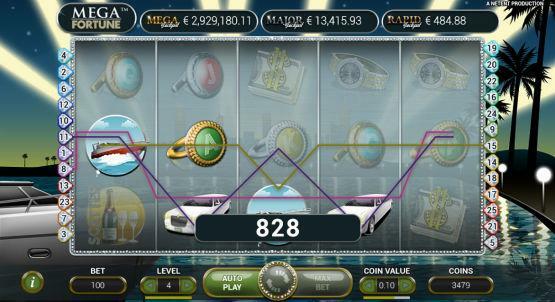 The biggest and most popular examples include Mr. Green Casino, Royal Panda Casino or Leo Vegas Casino. It’s important to note that not all players are free to enjoy NetEnt casino games. Restricted countries include USA, Australia, Belgium, France, Italy and Spain. NetEnt casinos are some of the most searched-for online casinos in the iGaming industry, because the company is widely regarded as one of the best gaming software providers . The company comes up with new releases on a regular basis, and some of them become big, industry-wide hits . Moreover, NetEnt hosts a number of progressives, with some of the biggest pay-outs ever recorded. Alderney 88 Isle of Man 1 Malta 465 Gibraltar 179 Jersey 1 Kahnawake 8 Panama 0 Curaçao 374 Unknown 1 Belize 1 Costa Rica 1 United Kingdom 551 Austria 0 Canada 0 Antigua and Barbuda 0 Belgium 3 Bosnia and Herzegovina 0 British Virgin Islands 1 Bulgaria 2 Cambodia 0 Comoros 0 Cyprus 0 Czech Republic 4 Denmark 25 Estonia 5 Georgia 2 Ghana 0 Greece 1 Hungary 1 Ireland 1 Italy 20 Kenya 0 Latvia 2 Lithuania 0 Mexico 0 Netherlands Antiles 3 Nigeria 0 Paraguay 1 Peru 1 Philippines 3 Portugal 4 Romania 3 Serbia 2 Slovakia 0 Spain 11 Sweden 197 Aland Islands 1 Schleswig Holstein 5 British Columbia 1 Cagayan Economic Zone 3 Delaware 2 Nevada 2 New Jersey 9 Ontario 0 How we rate Licensing Jurisdictions?